"Really enjoyed the book - very stimulating and refreshing. Just going into my first meeting armed with my new tool!" With The New OPPM™, this uncommonly practical guide, currently saving time and effort in thousands of organizations worldwide, has itself been simplified, then refined and extended to include the innovative AgileOPPM™. Overview of MyOPPM™ online template builder, and much more. This new book will help you master the one-page approach to both Traditional project management and Agile project management. Project Management is an academic discipline, a business activity, and a strategy, indeed a profession. Some magazines and newsletters publish nothing but articles about it. A small library could be compiled consisting exclusively of books about it. There are training sessions, seminars and certifications that focus on project management. Dozens of universities offer Masters degrees in the discipline, and a few offer Ph.D. degrees. 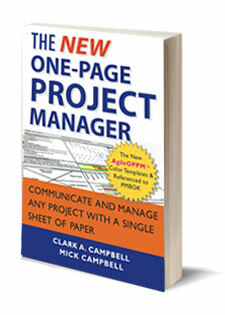 In The One-Page Project Manager, Clark Campbell showed managers how to reduce any project—no matter how big or complicated—to a simple, one-page document perfect for expressing essential details, communicating those details to upper management, and tracking progress. The One-Page Project Manager for Execution describes how to combine the OPPM with the Toyota A3 report to create an enhanced, integrated management tool. With a refreshingly clear style, the authors walk users through implementing the OPPM/A3 using a variety of real-world case studies, as well as their own experience at O.C. Tanner Company. 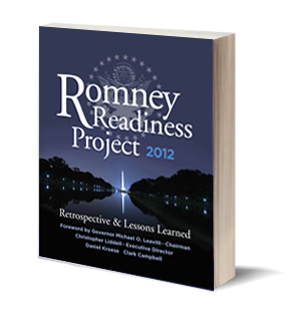 This succinct book provides the retrospective and shares lessons learned from the project to deliver the transition plans for a new administration to lead and govern. Traditional and Agile methods were deployed and their applications are explained. "Creating an initial OPPM, and then monitoring Project performance with these single-page displays, generates and encourages collaboration, teamwork, independency and personal ownership. It was exhilarating for me to observe and participate as profoundly competent people from government, industry, and academia, many working together for the first time, quickly came together to align their various responsibilities with the broad vision of the Project, and then commit to provide their deliverables on schedule."